Jazzwater is the name for Deb Grant's charitable efforts to auction or sell her woodcarvings, wood crafts, cards and books. A portion of the proceeds are donated to various charities throughout the year. During 2019, the donations go to the Episcopal Diocese of Texas Hurricane Recovery effort for those in greatest need of assistance rebuilding from Hurricane Harvey. year. Over the course of decade, $21,000. has been donated through Jazzwater. Occasionally announcements of new items for sale or auction are placed on the Jazzwater Facebook page. 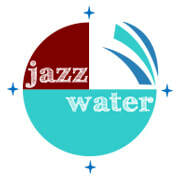 FOLLOW JAZZWATER on Facebook. Deb will consider custom or commissioned works for a negotiated price. Email her on the Contact page. ​ THE JAZZWATER ETSY SHOP IS NOW OPEN!